If you’re little ones are train and bus obsessed this is the afternoon tea for you! It’s all aboard as kids over five can whizz around London on Brigit’s Bakery vintage Routmaster buswhilst they devour a French inspired afternoon tea. 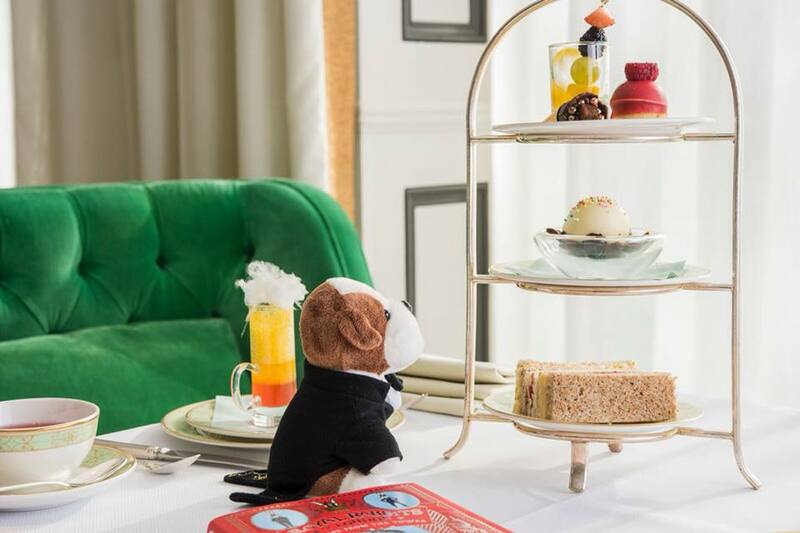 Whilst you munch your way through brioche sandwiches, miniature quiches and dinky patisseries, the route will take you on an one hour and thirty minute tour of Big Ben, The Houses of Parliament, Westminster Abbey, St James’s Park, Hyde Park, The Royal Albert Hall, Marble Arch, Nelson’s Column, Downing Street and more. Tickets please! Tiny Table (www.tinytable.co.uk) is a new guide for parents to discover family-friendly restaurants in London and the UK founded by Nicola Wilson. The values underpinning Tiny Table are simple – to inspire, to delight and to unite parents who long for fuss-free dining with their little ones. Tiny Table was born out of the need to feed, not only the hungry and bleary eyed mamas and papas but the entire family. After six months on maternity leave, Mummy monotony had set in – tired of heading to the same cafes where buggy balancing and coffee swigging was the order of the day. Chatting to fellow parent pals, it was evident that we were all in the same predicament and longed for a solution to seek out something new. From new openings across the capital to local hidden gems, Tiny Table family offer an honest helping hand for parents seeking out something new. Tiny Table founder Nicola Wilson has spent the past 15 years working in digital for a string of London’s high-profile brands including Jamie Oliver, Capital FM, KISS FM and Magic FM. Born in North London and now based in St Albans, she is a keen foodie and first time mum. With a mission to make eating out with families inclusive, delicious and accessible through Tiny Table, Nicola is ready to champion change in the way we discover family-friendly restaurants and how we eat out with our kids. Join Nicola and thousands of like-minded mums online and across social media, to discover fuss-free family food.